Your Resting Metabolic Rate or RMR is where the majority of our calorie use takes place. The higher this is, the less fat we carry. You see, decreases in your RMR are heavily associated with the reduction of lean muscle tissue. Age-related weight gain is purely a function of the loss of muscle. Slower metabolism equals fat gain! Muscle is a hungry tissue and requires a lot of calories to maintain. The more functional muscle mass you have the faster your metabolism and the lower your fat stores. Muscle tissue atrophies –diminishes – as we age because in general we move less, exercise less and become generally physically less active. While the mechanism is not entirely clear, what is clear is that you do not have to accept age related muscle loss as inevitable. You can offset many of the factors which cause the slowing of your metabolism. The quickest way to disrupt your current metabolic set point and loosen your current homeostatic state is through metabolically costly exercise. Challenging regular exercise actually increases the number of mitochondria (the energy factories in your muscle tissue) and the more of these little ‘furnaces’ you have, the more calories you burn. Research has shown that regular, metabolically taxing resistance training can reduce, reverse or even prevent this muscle loss. This in turn leads to less fat. So the first way we can work to negate the metabolic slowing effects of ageing is by maintaining muscle mass through regular, challenging, conscious exercise. YOU MUST Move more and work your muscle HARD! However the type, duration and choice of exercises are vitally important. A specific exercise protocol called HIIT or High Intensity Interval Training encourages fat loss. MRT or Metabolic Resistance Training plus MCT or Metabolic Cardio Training selects and sequences exercises in the right way to challenge muscle strength, endurance and energy systems to give time efficient results that burn fat AND build muscle at the same time. But exercise is only one of a number of the lifestyle modifications that you can adopt to keep your metabolic rate fired-up – regardless of your age. WHAT CAN I DO TO INCREASE OR MAINTAIN MY METABOLIC RATE AS I AGE? *Ensure that you engage in 20 – 35 minutes of moderate physical activity on the alternate days. *Look for other small ways to move more and stay more active. Take a parking spot away from your destination. *Give the dog an extra walk each day or just go for a walk each evening after dinner etc etc. *Stop drinking pop & fruit juices and drink more cold water and green tea instead. *Avoid foods that contain any level of transfats or hydrogenated fats. *Sleep – enough & your metabolism thrives, too little & you get fat – simple as that…. *Avoid highly processed foods wherever possible especially the ‘whites’ – sugar, flour, rice and other processed carbs. *Eat more fruit & veggies, fish and eggs. *Eat more protein & fibre. *Add spices to your meals. *Try out stress reducing activities like Yoga, Pilates, Tai Chi or start meditating daily. A walk on the beach, in the Park, in a Forest or a Field – are all great stress busters. *Take 500mg of Vitamin C when stressed will reduce cortisol significantly. Your metabolic rate has always been, and will always be, a result of a combination of your activity levels, calorie intake, and the types of foods that you consume. 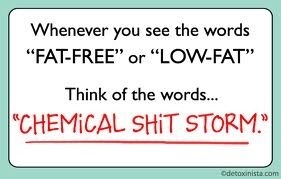 Low or unprocessed foods are simply better for you and make it easier for you to maintain a faster metabolism. It’s very important for all of us, regardless of age, to eat better proper foods, more often and to maintain regular levels of physical activity. A strong middle age is something to aspire to …and within reach for us all. 3. you must follow a diet that supports the reconditioning of your metabolism by creating a calorie deficit whilst firing up your metabolism and manipulating your hormones. Age will try to slow us down. But by staying active and eating well, the experts agree: You can reverse.the effects of a slowing metabolism. To a very large extent your metabolic rate is yours to control. 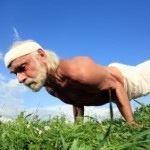 Remember: you don’t have to accept the metabolic slow down of aging – you CAN offset it! !